Built as a passenger-cargo vessel under yard No 95 by the North of Ireland S.B. Co. yard in Londonderry for Cie Havraise Peninsulaire Nav a Vapeur in Havre, France. 13 August 1920 launched as the VILLE DE LYON. Tonnage 7,138 gross, 4,237 net, 9,200 dwt, dim. 131 x 16.3 x 8.62m, length bpp. 125.3m. Powered by a triple expansion steam engine, 3,300 hp, one shaft, speed 11.5 knots. Accommodation for 38 first, 28 second and 280 steerage passengers. 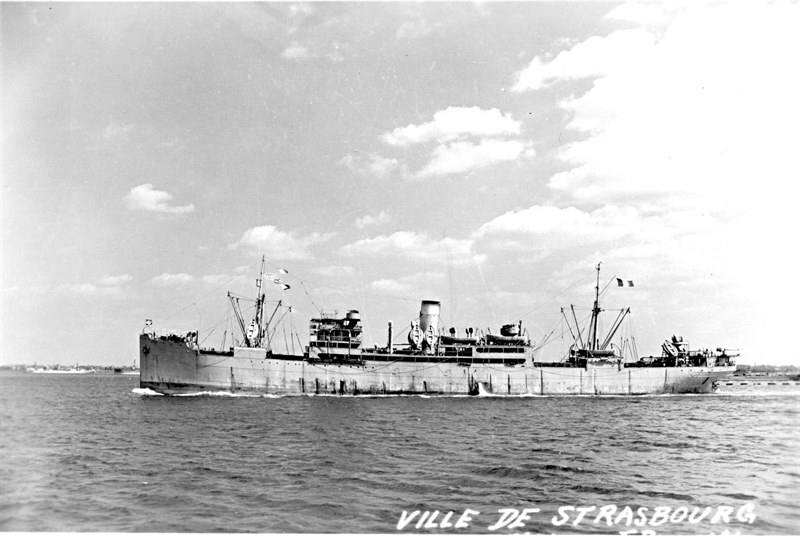 October 1920 delivered under the name VILLE DE STRASBOURG. After completion, she was chartered by Soc. des Services Contractuels des Messageries Maritimes in Dunkirk. Used in the service between Northern Europe to Australia via Suez Canal from 22 September 1922. 1928 Sold to Soc. des Services Contractuels des Messageries Maritimes, Dunkirk, not renamed. From 1930 in the service from Northern Europe via the Panama Canal via New Caledonia to Australia. 1940 Integrated into the Vichy fleet in France and used in the service from Marseille to Madagascar. 02 March 1941 is boarded by the crew of the British cruiser HMS SHROPSHIRE near Fort Dauphin, under MOWT ownership and managed by the Union Castle Line, London. Not renamed. First with a British crew, later by a French crew from the Free France Naval Forces (FNFL). 07 January 1943 torpedoed by the German submarine U 371 off Bougie, Algeria which hit the bow, towed to Algiers where she during an air raid on 26 January 1943 again was damaged. 10 September 1945 sailed from Marseille with the first troops of the French expeditionary corps to Indochina. 1948 Transferred to Cie des Messageries Maritimes, Dunkirk. 1951 Converted in a cargo vessel. June 1952 she sinks a junk in the port of Haiphong. September 1952 out of service in Marseille. 09 November 1952 sailed from Marseille for scrapping, arrived 06 December 1952 at Faslane, U.K. where she was scrapped by the Metal Industries. 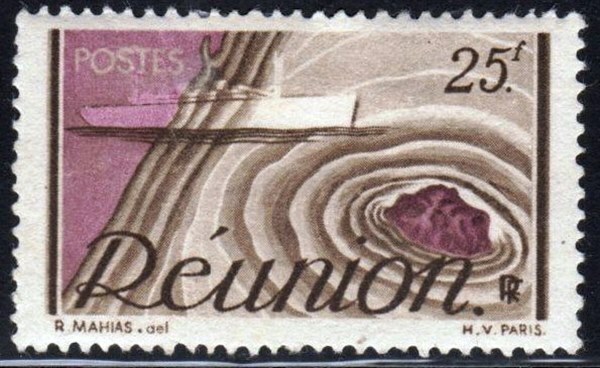 Reunion 1947 15/25f sg 300/02, scott ?